A package design is not a pretty picture you glue to a bottle, it’s not an attractive box that you put something in, and it’s not an empty vessel waiting to be filled with your latest design ideas. It’s not another entry for a design competition, it’s not an object of beauty to impress your peers, and it’s not another showcase piece for a designer’s portfolio. It’s not a billboard for your personal preferences. 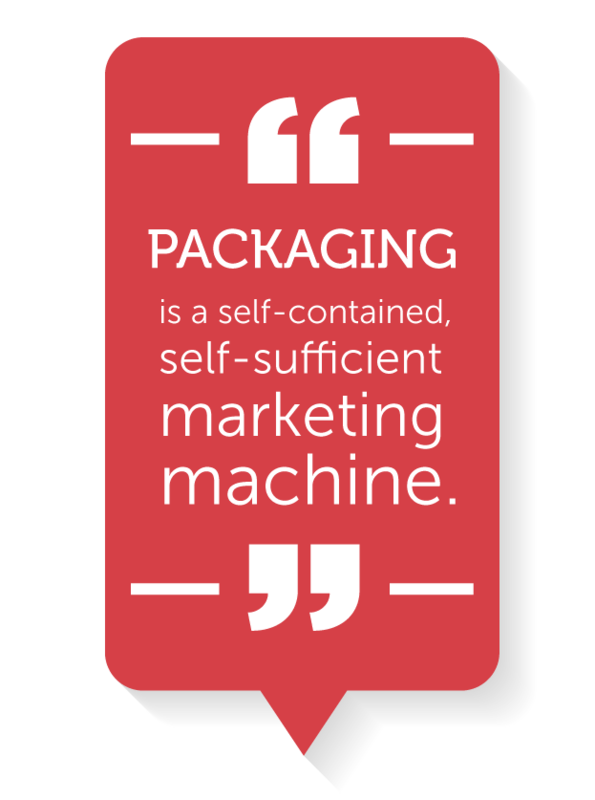 A package is a self-contained, self-sufficient marketing machine – an advertising department, company spokesperson, floor salesman, radio jingle, full-page ad, and a 30 second commercial all wrapped up into one. It must survive on its own. It must single-handedly convey its value and then close the sale – and it must do this without the advantages of mobility, voice, and thought. A package is a vocal messenger sent out to speak above the voices of your competition and capture the attention of the fickle consumer where success is measured in sales. It’s imperative to understand the market before designing; this will not only inform the design itself but will shape the brand story and differentiators. A great package not only looks good but it conveys a clear distinction among a sea of choices. Understanding competitors, and the consumers’ expectations for the product’s category, is the first step toward segmenting the market to your advantage. What makes you different? Why would someone choose your product over another option? Do you have a packaging supplier in place and have you finalized what bottle, jar, box, can, tube, or bag you will be using? If applicable, do you have any dielines ready? Are you working with a printer already? What are your distributions channels? Direct to retailers? Selling to distributors? Private label? Box stores or mom and pop? Online only? Do you have your UPC codes ready? Do you need help getting them? Are your nutritional facts done? How about ingredients? Are there any legal/governmental requirements for your packaging? When is your projected launch date? Need some Formidable Packaging Design? Eggbeater Creative can help. Contact us today and we can get your packaging design project off the ground and on to the shelves.